We've seen Marvel's Phase Three kick off in impressive fashion with Captain America: Civil War which has now made over $1 billion at the worldwide box office. 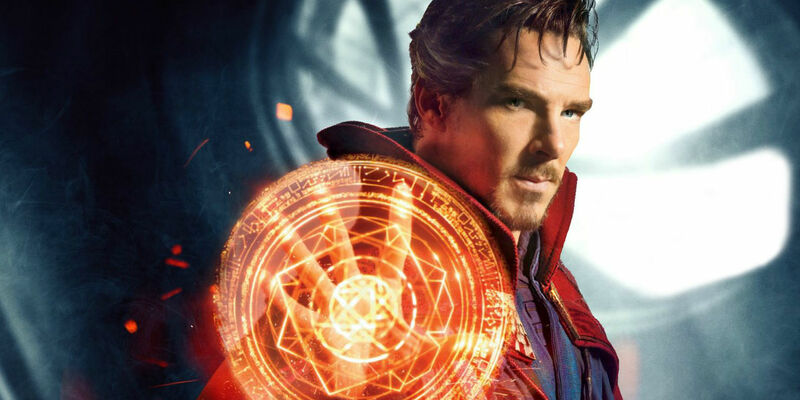 Next up in the Marvel Cinematic Universe is the Benedict Cumberbatch-starring Doctor Strange, where the Sherlock actor assumes the role of Stephen Strange: a brilliant but arrogant neurosurgeon who, after experiencing a life-changing car accident, seeks the help of a powerful Sorcerer known as The Ancient One (Tilda Swinton) in order to heal himself. While Marvel, and Disney-owned studios in general for that matter, go to great lengths to prevent spoilers or plot twists from leaking early, sometimes it's out of their control when it comes to the merchandising side of things. Recently, Civil War Pop! Vinyl funkos gave away some of its airport battle sequence plot by releasing a Giant-Man figure weeks prior to the film coming out. Similarly, the new Ghostbusters funkos for the reboot also reveal some details fans may consider as spoilers. Amidst controversies of 'whitewashing', Scott Derrickson's production has so far done a solid job of keeping all of its big secrets under wraps - perhaps until now, that is. With a new LEGO set unveiled for the upcoming movie, an image of the box has emerged on Imgur and not only shows fans the latest release in the LEGO Marvel Super Heroes range, but perhaps a little more than some were expecting: a (literally giant) spoiler as to who the film's villain may be. We've already had a glimpse at some of the other merchandise for Doctor Strange in the shape of lunchboxes and cups (providing a better look at the Doctor's costume in the process), and the title character recently got his own introduction into the LEGO Marvel's Avengers video game as a DLC pack. Here, we have a playset consisting of Strange (Cumberbatch), Baron Mordo (Chiwitel Ejiofor), and Wong (Benedict Wong) in the Sanctum Sanctorum that's under attack from a large squid-like creature. As comic book fans will be aware, this red, nasty foe could be Shuma-Gorath - although the LEGO set creatures has red skin rather than green and has two eyes rather than the solitary one that Shuma-Gorath usually has. Nevertheless, Shuma-Gorath is a prevalent villain in the Doctor Strange comic book world. Gorath debuted in Marvel Premiere #5, a Strange comic story from 1972. It's thus plausible that this red monster will be the version of Gorath who shows up in the Scott Derrickson-directed Doctor Strange movie. In previously-released comic book stories, Strange ends up killing the evil entity after The Ancient One is manipulated into helping it return to Earth. LEGO has been known for its hit-and-miss accuracy when it comes to big film tie-in merch. Jurassic World, for example, released a handful of LEGO building sets with the rest of its toy lines prior to the summer release of the movie that, concerning some vehicles and dinosaurs, weren't accurate or didn't even feature in Colin Trevorrow's film at all. Similarly, this could be the case for Doctor Strange, but no doubt fans will be excited to hear that Shuma-Gorath could feature as the movie's big villain. Captain America: Civil War is in theaters now. Doctor Strange opens November 4, 2016; Guardians of the Galaxy Vol. 2 – May 5, 2017; Spider-Man: Homecoming – July 7, 2017; Thor: Ragnarok – November 3, 2017;Black Panther – February 16, 2018;Avengers: Infinity War Part 1 – May 4, 2018; Ant-Man and the Wasp – July 6, 2018;Captain Marvel– March 8, 2019; Avengers: Infinity War Part 2– May 3, 2019; and as-yet untitled Marvel movies on July 12, 2019, and on May 1, July 10, and November 6 in 2020.